The places and products highlighted in this guide have been selected for the exemplary quality of their boudin, their attention to traditional Cajun recipes and methods of production, and the additional specialties they offer. We promise that you cannot find more authentic and delicious items. These people know how to cook, and you can benefit from what they do best. www.BoudinLink.com -- This brochure was created by the folks behind this website, which provides a comprehensive guide to all the boudin of Louisiana and beyond. You can find reviews, suggestions, and a map to each of the listed locations and more. There are over 125 individual reviews. www.boudincookoff.com – Each October the top boudin makers from across the region show up in Lafayette, Louisiana at a boudin cook-off. 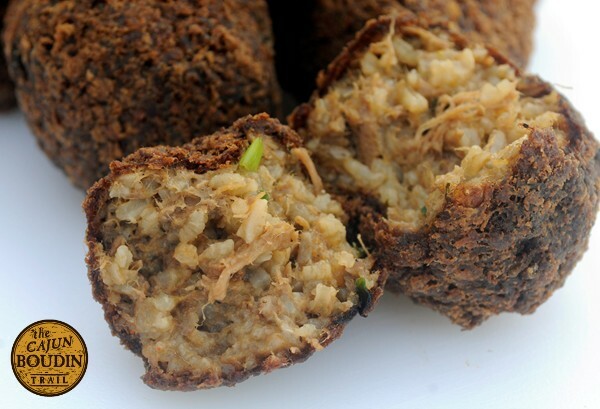 This event provides a unique and fun opportunity to sample boudin from up to 25 different places. You can find information about past and future boudin cookoffs at the web page and make plans to attend.